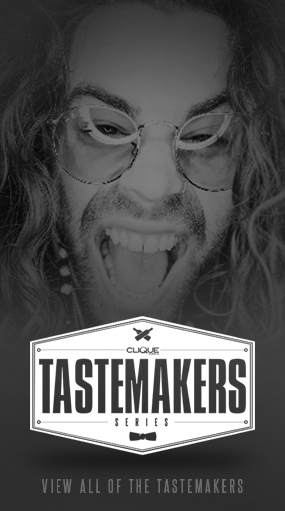 In light of all the new changes going on with Clique Vodka, today I have a magnificent cocktail that is almost as mesmerizing as #TheNewBlack bottle! It’s sweet, a bit tart, and like no cocktail you have ever seen before. 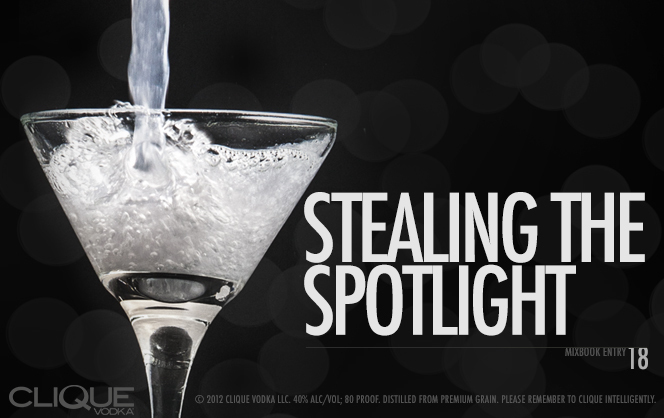 Get ready for a drinking experience like no other, today we are making a cocktail aptly named: Stealing the Spotlight! Fill a cocktail glass (the proper name for the V-shaped glass martinis come in) with ice and water to chill while you prepare the cocktail. Theres nothing worse than a cocktail that warms up before you finish it, and there is no way we are letting that happen to this stunning cocktail. 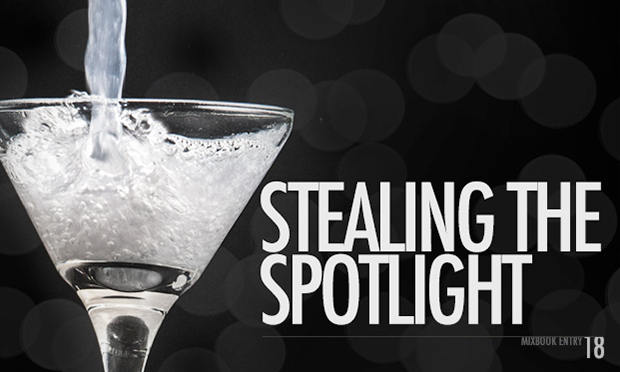 Fill a cocktail tin with ice and add: 1 ¼ oz Clique Vodka, 1 oz Licor 43, ¼ oz freshly squeezed lemon juice, and 1 good spritz of silver cake decorating spray. Cake decorating spray can be found in most supermarkets, or specialty kitchen and crafts stores, and bring a nice subtle vanilla note to this cocktail. Shake well, and then toss the ice and water out of your chilled glass and strain in the cocktail. The silver glitter from the spray creates this beautiful, iridescent movement in the cocktail which is as delightful as the cocktail itself. 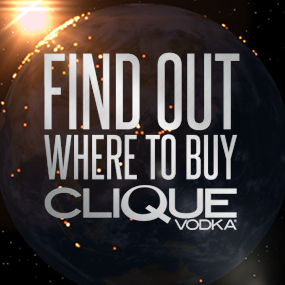 Make sure you share your Clique Vodka creations with the world by tagging a pic with #CliqueShots on Instagram or by downloading Drinkypal! Always make sure you Clique Intelligently! Expert Tip: If you haven’t invested in a quality cocktail tin and strainer yet, you can always make cocktails in a watertight tupperware container. Shake the container well, then just break the seal in one small place to let only the chilled liquid drain through!